Treat yourself to a night out with friends in North Cornwall without having to worry about who will be the designated driver! We’ll be there to transport you safely to any restaurant, pub or night spot in and around Rock, Padstow, Bodmin, Polzeath, Port Isaac, St Merryn, St Minver, Chapel Amble, Camelford, Tintagel and Boscastle. Simply call Midas Taxis in advance and we can agree pick up & drop off points and times with you, leaving you free to relax and enjoy your night. 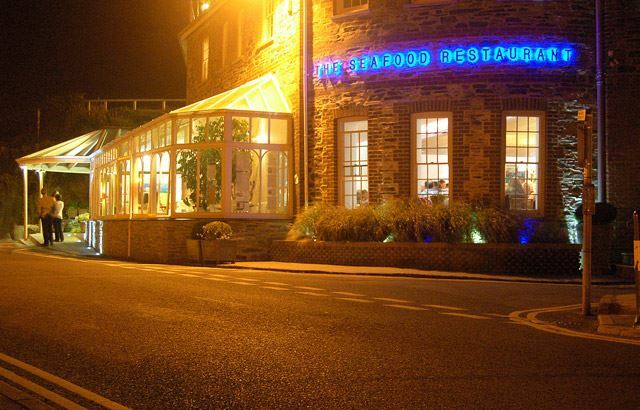 We regularly take our clients to The Seafood Restaurant in Padstow and Jamie Oliver’s 15 at Watergate Bay as well as many of the popular local pubs. Our Ford Galaxy enables us to carry up to 6 passengers, so there’s plenty of room for you and your friends to kick start an unforgettable night. We can collect you in the small hours of the morning and even pick up a takeaway for you on the way home if you wish! We welcome tourists to the area and we can recommend all the best places for you to visit, whether you’re looking for a romantic restaurant, a family-friendly pub or a lively bar. So, next time you’re planning a big night out in Wadebridge, Padstow, Port Isaac or the surrounding areas, be sure to call upon Midas Taxis for a reliable and friendly service at pocket-friendly rates!